We’re real traditionalists when it comes to Mediterranean and Asian cooking. But convenience is also a big consideration for us. If we’ve got plenty of time on our hands, we don’t mind making our own stocks from scratch, or even making our own curry pastes with a mortar and pestle. But often, time isn’t on our side so we use stock powder, or a pre-made curry paste instead. I’ll be the first to admit that the end result isn’t quite as good, but the flavors are close, and the time and energy saved makes the compromise worthwhile. 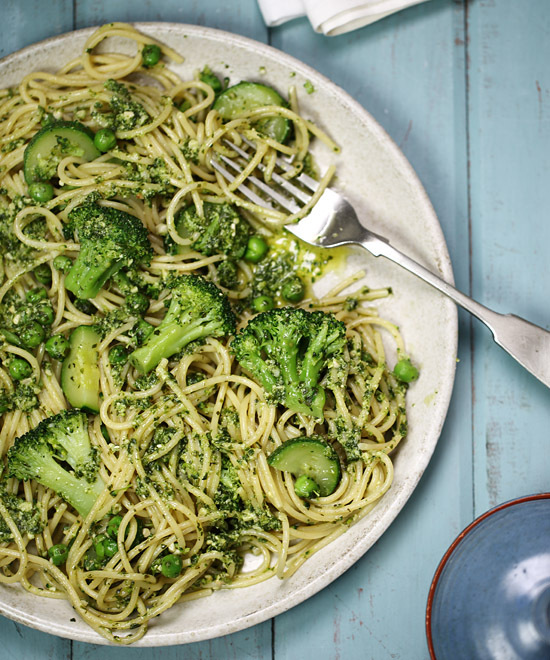 So to save time we used stock powder and a good quality store-bought pesto. 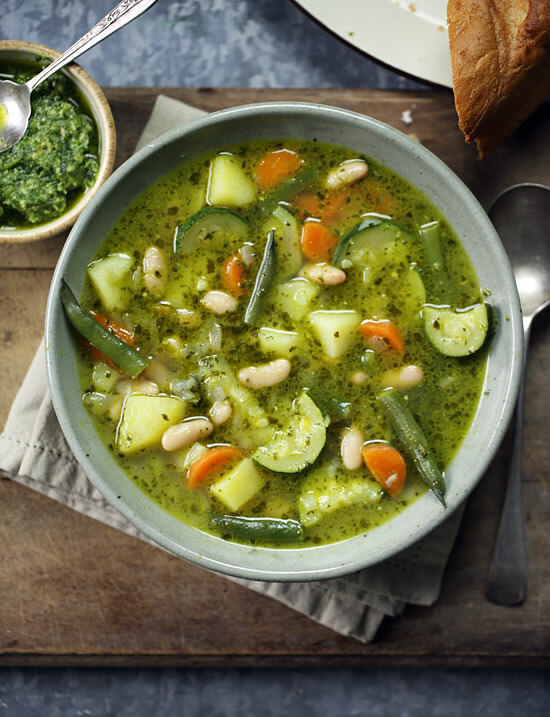 During the cooking process the vegetables release their own flavors anyway, so the finished soup has a wonderful depth of flavor, which is accented by the robustness and creamy texture of the pesto. 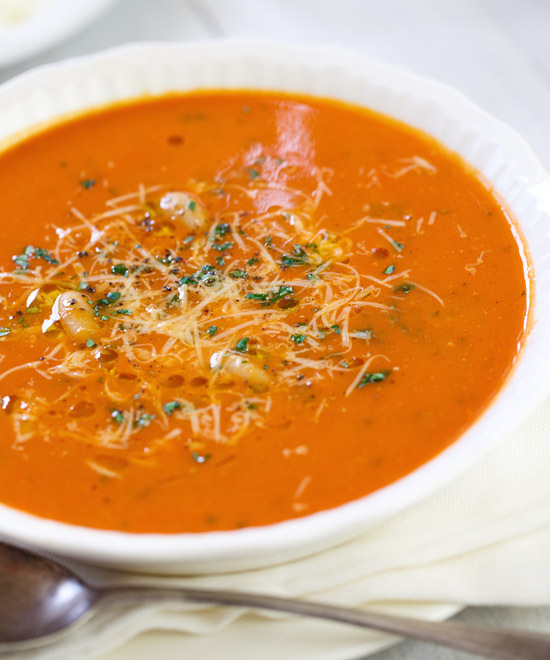 Combined with some fresh crusty bread it made a delicious, healthy and balanced meal. And all without much hassle. 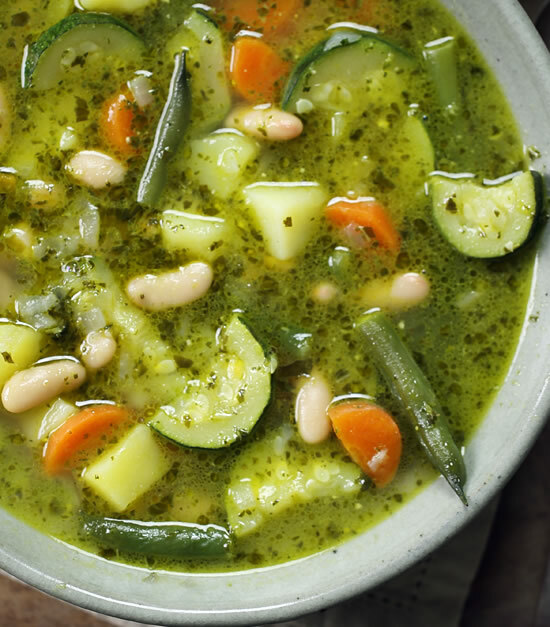 A hearty fiber-rich soup chock full of protein-packed beans and chunky vegetables, and accented by the robustness and creamy texture of basil pesto. HEAT the oil in a large saucepan over a medium heat. COOK the onion for 4 minutes. ADD the carrot and cook for 2 minutes, then add the zucchini, potato and green beans and cook for 2 minutes more, stirring occasionally. ADD the stock, salt and pepper, bring to the boil, then cover the pot, reduce the heat and simmer for 15 minutes. 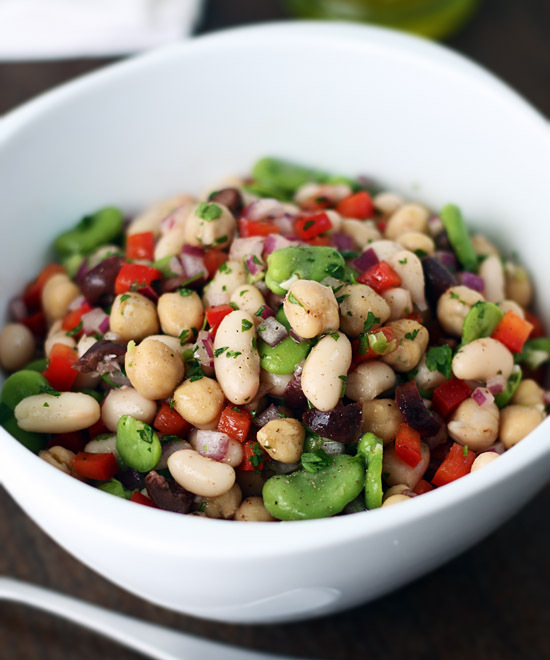 ADD the white beans and pesto and cook for 1 minute.